This 19 inch IP65 waterproof rated bathroom mirror TV has cut-out dimensions of 474mm x 318mm x 48mm and front dimensions of 490mm x 335mm x 3mm. 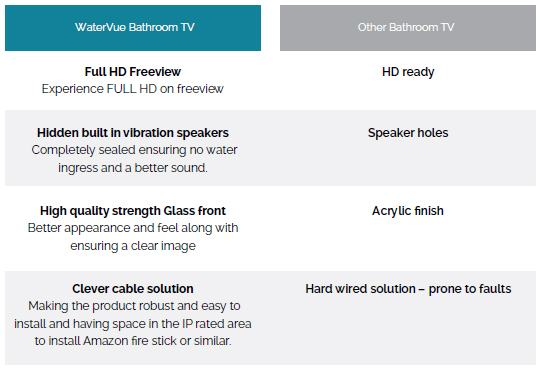 At just 19 inches (our smallest bathroom TV), it’s a great size for all shower rooms, bathrooms and ensuites! It has a HD LED panel with quality integrated vibration speakers and fog-free technology, so you never miss a thing, even in the steamiest of wet rooms! 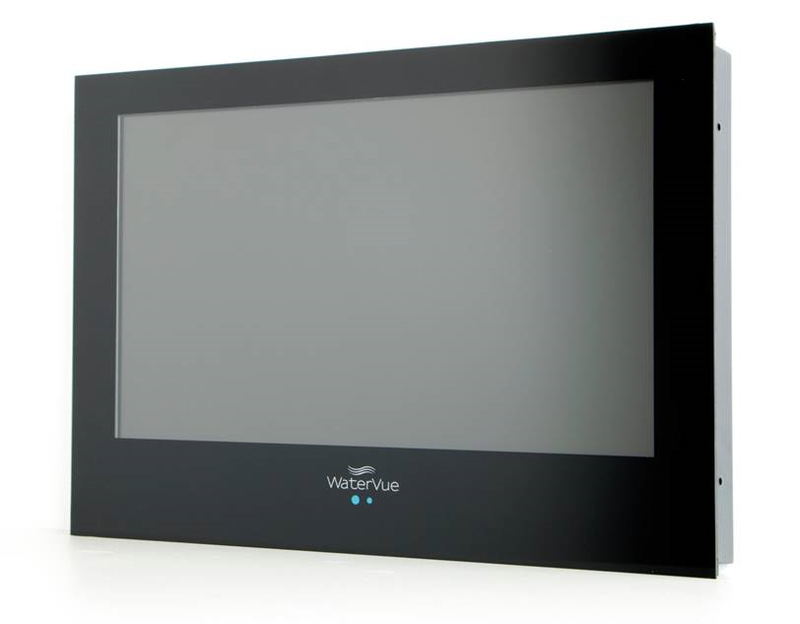 When switched off, this stylish WaterVue television transforms into a mirror - brilliant for brushing your teeth, perfecting your hair or touching up your make-up! 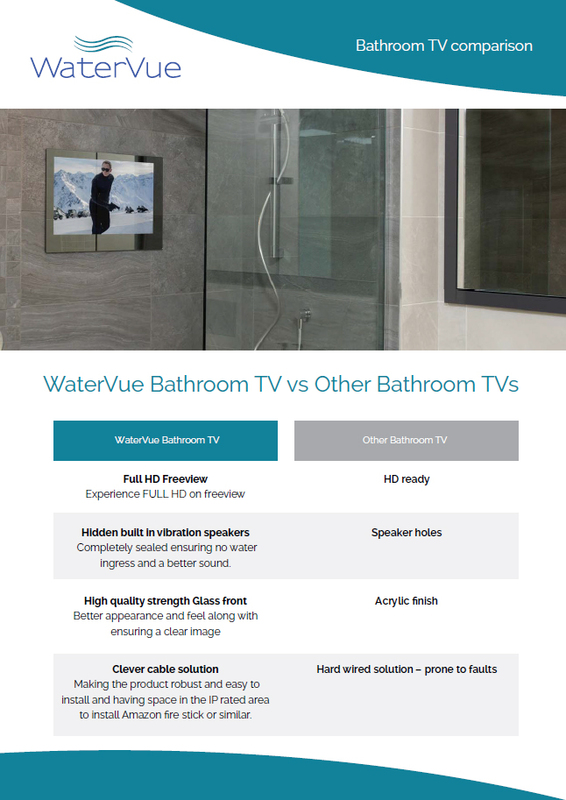 Enhance bathtime and enjoy a little luxury with the 19” mirror TV for your bathroom interior. With easy installation, hassle-free delivery and great value, you can always count on us to enhance your bathroom experience! For enquiries please call our expert team on 01777 322003.